Many people are hoping to hit it big with Mega Millions and Powerball tickets. 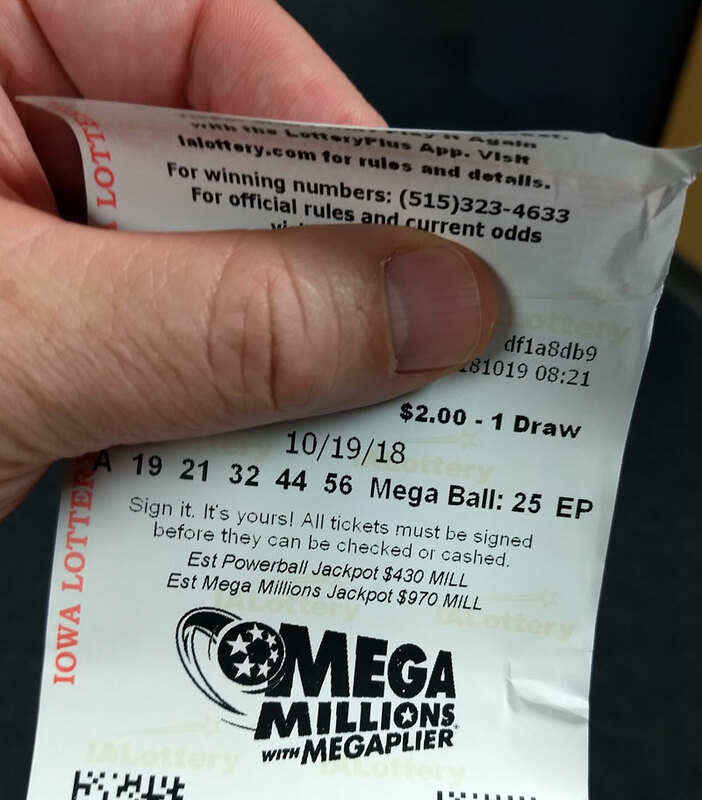 The Mega Millions jackpot estimate was updated to one billion dollars today and the Powerball prize is now estimated at 470 million for Saturday’s drawing. And now Mega Millions has grown to a record level. “It’s the biggest jackpot that’s ever been offered in Mega Millions since that game began. It has far eclipses the previous record, which was $656 million,” Neubauer says. “The Mega Millions jackpot is the second largest jackpot that’s ever been offered worldwide. It is behind only the Powerball jackpot of nearly $1.6 billion that was split by three tickets back in 2016.” Ticketholders in California, Tennessee and Texas won a share of that jackpot. One trend that is already showing up is 93 percent of the Mega Millions tickets purchased and 89 percent of the Powerball are “easy picks” or numbers chosen randomly by the lottery terminal. “It’s one of the highest numbers I’ve ever seen. And I don’t know if that means we have lots of first-time players that are playing and aren’t as familiar with playing the games — or if people in general are using easy picks more often,”Neubauer says. Neubauer says more jackpots are won on easy pick tickets. “Now I don’t want someone to think that that means that easy picks are luckier – they aren’t the odds are the same for any ticket that you buy. It’s simply that because there are so many more easy pick plays, there are more wins from easy pick plays,” Neubauer explains. Neubauer says they always stress the importance of playing responsibly, as you only need one ticket to have a shot at the jackpot. The deadline to buy a Mega Millions ticket today (Friday) for the drawing is 8:59 p.m. The deadline to buy a Powerball ticket is 8:59 p.m. Saturday. 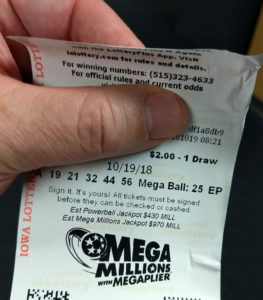 If you win Mega Millions you can take a lump sum payment of $565.6 million and for the Powerball you could take a lump-sum option $268.6 million.